Lindsay is the CEO of Inspirational Coaching and an executive coach and trainer who has worked in the corporate world for 20 years. She established the business in 2002 and has been coaching and training managers and executives for over eleven years. Before finding her true passion in coaching and training, Lindsay was an Administration Manager where she had responsibility for leading a team of 50 people. This leadership role has led her to develop a real passion for exploring the topic of what makes great leaders and she sees her coaching and training roles as ways to be influential in this field. Accredited in the Myers Briggs Type Indicator and the BarOn EQ-I assessment tool (which measures people�s emotional intelligence), Lindsay combines her coaching and training with tools that effectively gauge a true understanding of people so that meaningful and personalised strategies are used to achieve the desired results. 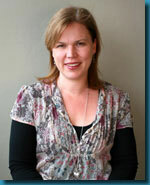 Lindsay holds an MBA from Macquarie Graduate School of Management and regularly speaks at a variety of functions. She has also been featured in Women�s Day, Good Medicine, New Idea and the Qantas in flight magazine. Lindsay is an incredible woman that exudes inspiration in every word she speaks. 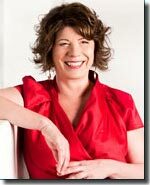 She is renowned for her success in coaching executives and assisting individual and teams to perform at their peak. She has unique qualities that make her a success with her relationships, business, products and workshops internationally. Mike�s passion is working with businesses to improve their performance. He does this by offering fun, practical training tailored to meet specific client requirements. He specialises in the areas of Leadership, Risk Management, Process Improvement, Problem Solving and Systems Auditing. Mike�s desire for helping business has grown during his twenty five years of experience working in the corporate sector. A strong advocate for personal development, he has been awarded an MBA from the Macquarie Graduate School of Management. During his working life, Mike has worked extensively in the automotive and service sectors in a Quality Management or General Management role. 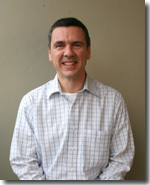 He has also worked with hundreds of clients in the capacity as either Systems Auditor or Trainer. The work has taken him to Europe, Asia, Australia and the US and has exposed him to the latest in leading business practices. One of Mike�s favourite quotes is "If we did all the things we are capable of we would truly astound ourselves". Mike has a wealth of knowledge within a range of varying industries, which enable him to connect and understand many people on an array of topics. His ability to listen, understand and then ask strategic questions, has empowered him to attract clients who keep coming back for more of his inspiration and knowledge. 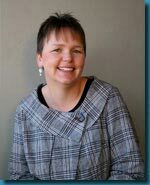 Margaret has a Graduate Diploma in Human Resources Development, Bachelor of Arts majoring in Sociology and Certificate IV in Training and Assessment. Her commitment is to supporting and nurturing people to achieve their full potential whilst enjoying the journey of discovery and learning. With 18 years experience as a learning and development facilitator, Margaret has developed teams and managers in many workplaces including the public service, call centres and the retail sector. Margaret�s passion for training is evident in her ability to create a learning environment that is fun, challenging and nurturing. She believes it is important for people to enjoy a process of learning that adds value not only to their working lives but also to them personally. Margret is an incredibly impressive presenter, who has the ability to entertain and capture your attention from the moment she starts speaking to the conclusion of her workshops. She has quotes, stories, and an energy that amazes, engages and inspires clients. Tina Dolphin is an experienced trainer and executive coach who combines her extensive skill set and passion to design and deliver development programs that maximise the potential of individuals, teams and organisations. 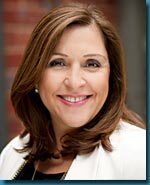 A qualified trainer and assessor and a professionally trained performance coach, Tina has been coaching, training and mentoring for over 12 years across a diverse range of industries including; advertising, recruitment, pharmaceutical, healthcare, government, travel and retail in Australia and the UK. From one-on-one coaching at executive level through to facilitating group workshops, Tina has the ability to engage participants of all levels and experience and work with them to recognise their full potential, create behaviour change and improve performance. As a coach, Tina combines a range of coaching methodologies, NLP and questioning techniques to help individuals identify key areas of development and establish strategies for success. Tina describes her coaching style as intuitive, challenging, empathetic and down to earth with an ability to �get to the heart of the matter� and quickly move clients forward. "Great workshop. I�m motivated, excellent facilitator!" "Very well done. Excellent knowledge of subject." "Engaging and practical, very well presented." "Delivery style was good. Tina has a vast knowledge of the subject." "Tina knows her stuff. Makes the learning environment relaxed"
In addition to coaching and training, over the years Tina has been pro-actively involved in various volunteer roles such as mentoring trainee coaches for a number of Coach Training schools and also working with the International Coach Federation, working towards the recognition of coaching as a true profession, holding a position on the board as well as that of Sydney Chapter President for over two years. Tina�s belief that we can achieve anything we truly want in our lives is the premise of her life and work. 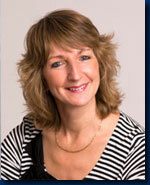 Mary is registered coaching Psychologist and has been working as a Coach, Facilitator and Consultant since 2001. She combines her coaching and training with tools that work practically and effectively to assess development needs, identify goals and facilitate lasting solutions. Mary specialises in supporting leaders for improved performance and wellbeing and has extensive expertise in developing effective leadership styles, team performance, emotional intelligence, performance management and improved resilience. Her capabilities and skills have developed from over 25 years experience working in human resources, organisational development, coaching and developing others. Mary has a strong drive for excellence and results and some of her achievements include supporting Ford Australia to achieve the ACCI Work and Family Awards and BF Goodrich Chemical in achieving its Training Employer of the Year award. She is a published author and regularly blog / post articles on leadership, communication, positive psychology and wellbeing. Her case study at NAB �Group Coaching, National Custodian Services� has been published in the book: Releasing the Potential of Managers � Australian Coaching, Deakin Prime. Mary�s coaching clients include CEOs, executives, middle managers and team leaders in large, medium to small organisations. This includes Education (University / Secondary), Health, Manufacturing, Banking, Pharmaceutical, Government and not-for profit sectors. Her clients appreciate her highly professional approach combined with a constructive and supportive style. Kathy is highly experienced in the areas of leadership coaching, executive coaching, career transition, career resilience and personal transformation. Her core specialty is developmental and behavioural change and she typically works within the contexts of authentic leadership, talent retention and engagement, career enrichment and self-actualisation. She believes that only through creating the right leadership environment and empowering people to take charge of their professional and personal progression through life can the organisation be truly effective and reach its desired outcomes. People enjoy working with Kathy for her use of straightforward language, cutting edge methodologies that work, and the measurable results they get. She approaches her coaching partnerships with respectful curiosity and has a way of getting to the heart of things quickly. This translates into people being challenged and supported to the appropriate level so they achieve more, in less time, and with more sustainable results than going it alone. Before following her heart into full time coaching in 2001, Kathy enjoyed an extensive corporate career with roles in organisational learning and development, marketing and sales management. She works with clients from some of Australia's leading organisations, government, small to medium enterprises, Not For Profits, CEO's, politicians and a wide range of individuals who invest in their personal and professional development. Vanessa has a Bachelor of Education (Primary) and is also a graduate of the renowned Life Coaching Academy. During her eight years as a primary school teacher and as a mother to two beautiful children, Vanessa has developed a passion for supporting and challenging individuals to be the best they can be. It was this passion and the benefits that coaching had to offer teachers that led to Vanessa�s initial interest and then transition to coaching and training. Vanessa has supported hundreds of individuals to grow and achieve success and she is an expert at creating a safe and supportive learning environment in which individuals and groups are willing to step out of their comfort zone to create new possibilities. Vanessa believes that continual growth and success are choices that are available to all of us and she is excited about working together with schools to inspire teachers, parents and students to be the best they can be! Vanessa has amazing qualities that attracts teams and individuals to listen carefully to every word she states. She has the ability to step into the shoes of others and see their perspectives. Her success with each client she coaches, and workshop she facilitates is evident through the repeat business she attracts as she leaves every client wanting more.